Eucharistic adoration is a complete liturgical service for the adoration of Christ in the Blessed Sacrament. Normally the consecrated host is kept in a tabernacle. 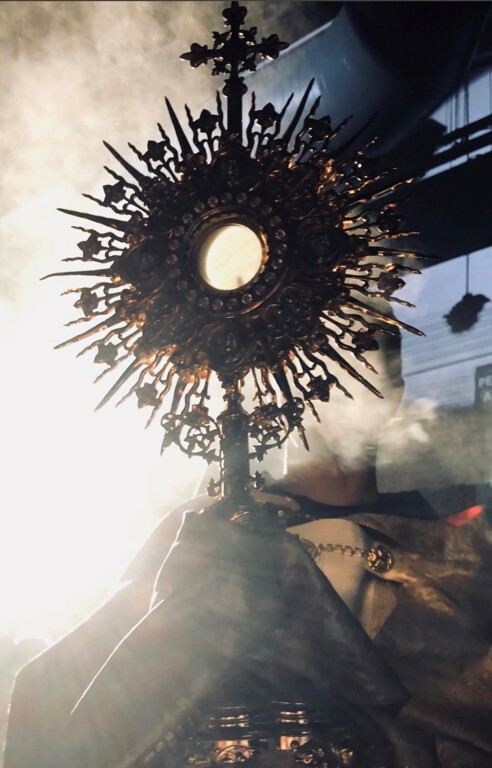 During Eucharistic Adoration it is placed on the altar in a monstrance to be venerated; to be kept company by the faithful for visitation, contemplative prayer and meditation. Adoration is a sacred time to keep Vigil with the Lord; to spend quiet time with Him. Eucharistic Adoration is offered the First Friday of every month, 9:00 AM to 5:30 PM in the Chapel. All are welcome. Eucharistic Adoration begins Friday, following the 8:30 AM Mass and closes Saturday, with Benediction at 9:00 AM, in the Chapel. We need at least two individuals for each hour. During the hours of 11:00 PM until 5:00 AM, for safety reasons, we will need at least two men. Schedule an hour to express gratitude to the Lord for His gracious love and compassion, and to listen for the Lord’s special guidance and inspiration to each of us. Please join us as we accept this invitation to spend a special hour with Jesus! 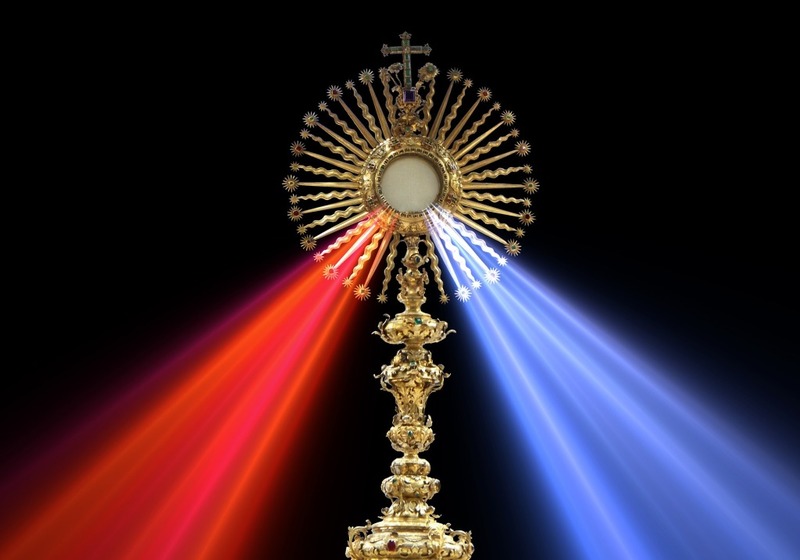 Join us in Adoration on Divine Mercy Sunday. "Mankind will not have peace until it turns with trust to My Mercy"
How Shall I Sit with the Lord? There are many ways to sit with the Lord. Most importantly come. Come as you are, to spend quiet time with Jesus. You will find what feels right for you. Recite prayers. There are many prayers for Eucharistic Adoration. Click here for prayers on the USCCB website. Contact: Brian Uszko at 214.394.1385 or Click Here to Email.